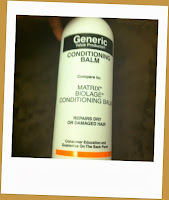 Promise: "Compare to Matrix Biolage Conditioning Balm"; "Repairs Dry or Damaged Hair"
Results: I've never tried the Matrix version, so I cannot speak to how it compares to that. I bought this on a whim from Sally Beauty Supply. This is my first attempt at a more commercial product since my big chop. Previously, I stuck to organic and all natural products. I really liked this product. Due to the conditioner thickness, I had to leave it on my low porosity hair strands in the shower for a few minutes before it really worked. However, when I did that, it melted away my tangles and gave my hair a lot of slip. 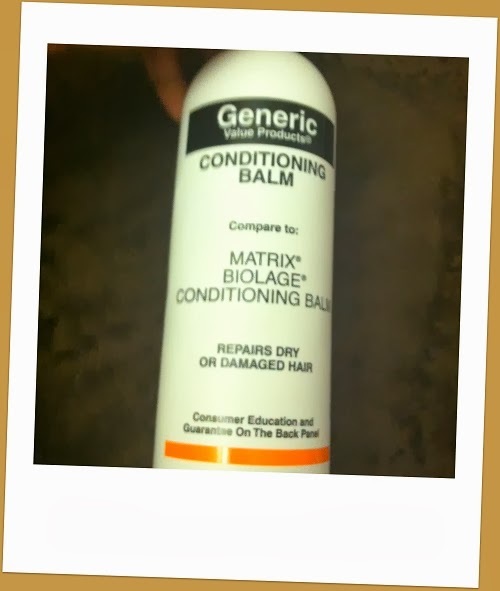 I also mixed it into protein deep conditioners a couple times to give my hair a moisture boost, and it worked great. I never tried using it on it's own for deep conditioner. Love it or Dump it: Love It! I will repurchase this once I use up more of my stash. I'm adding it to my favorites list.